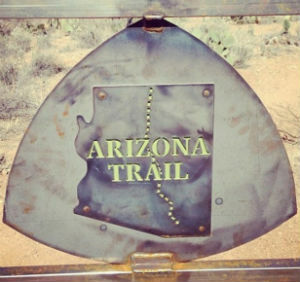 The Arizona Trail extends 800 miles through Arizona from the southern border to the north passing through several small towns and cities along the way. Vail is proud to be one of those towns. We are considered a gateway community to the Arizona Trail. Every year, hikers travel from all over the world to hike along this trail. Some hike the entire length of the trail, making short stops in the gateway cities. Others hike portions of it, taking in the stunning scenery along the way. When you’re in Vail, this trail is a must for your list. Hike, bike or ride your way along the Arizona Trail to immerse yourself in the beauty of the Sonoran Desert. 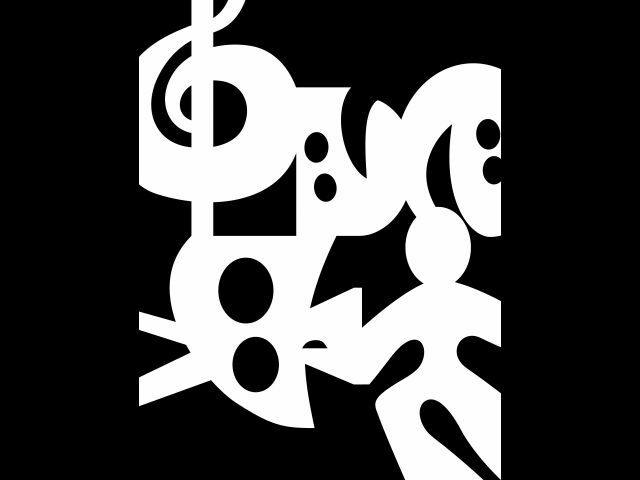 The Vail Theatre of the Arts is owned and operated by the Vail Unified School District, a member of the Greater Vail Area Chamber of Commerce. This theatre regularly hosts shows for the public. From drama performances by the local high school to rock bands brought in by the theatre management, you’re sure to find something to please your artistic senses. The Cienega Creek Natural Preserve is one of the most unique areas in Arizona and one of the hidden gems of Vail, AZ. It is located off the Gabe Zimmerman Trailhead, about 2.6 miles off I-10. Year round, it is filled with lush greenery and running water. 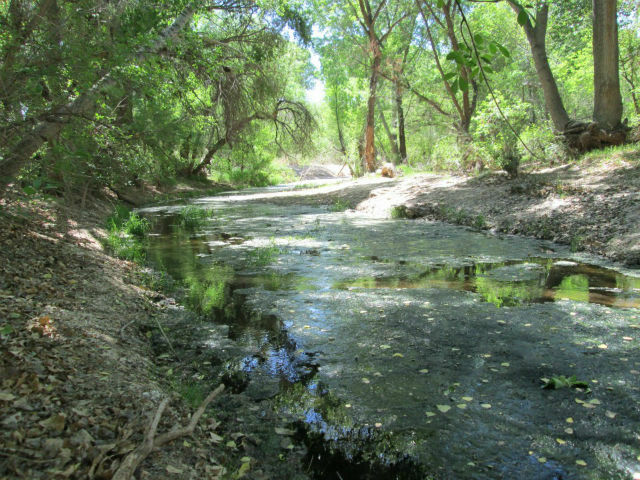 When you’re in the Cienega Creek Natural Preserve, you won’t feel like you’re in the desert. It’s an oasis you have to see to believe. While there, look up and you’ll see several bridges. Don’t be surprised if you hear a train or two passing by along these bridges. It’s an impressive sight! A permit is required to access the preserve unless you are using the Arizona Trail. 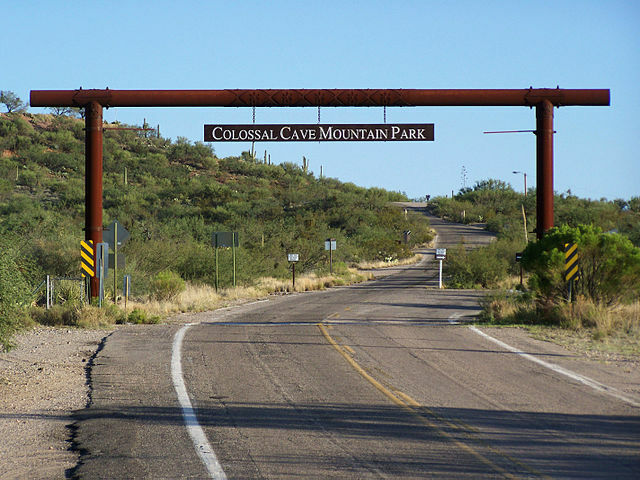 Colossal Cave Mountain Park is perhaps one of the things Vail AZ is best known for. This mountain park is home to history, nature and activities galore. Visitors can take a trip through the cave. Tours range from full spelunking adventure to an easy, yet impressive guided walk through the cave. The kids will love visiting Colossal Cave Mountain Park because of the full petting zoo available. There are horseback rides available, a cafe where you can enjoy a delicious meal and plenty of camping sites to kick up your feet while you embrace the beauty of the desert in this historic park. The Las Cienegas National Conservation Area is technically not located in Vail, AZ but it is a short half hour drive from town. It is worth the trip. In the Las Cienegas National Conservation Area, you’ll find the historic Empire Ranch. 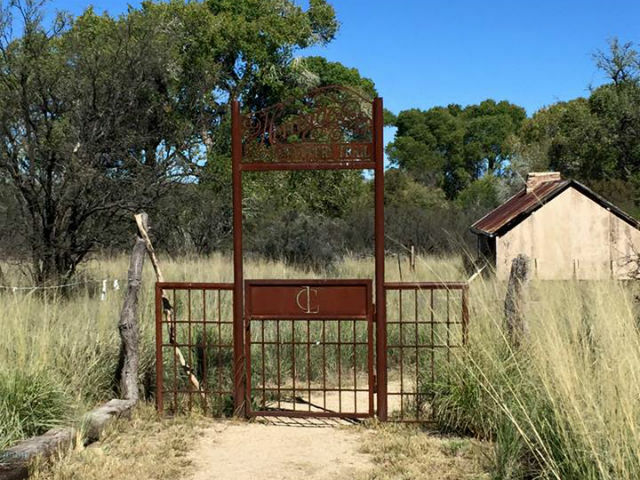 Here, you can take a self-guided journey through history while you walk through old horse stalls, homes and the headquarters of the Empire Ranch. The views from the ranch are stunning. You’ll feel like you’ve landed in an old western film as you take in the breathtaking scenery in this special area. Bring a picnic lunch, birdwatch, hike, horseback ride, hunt, mountain bike or camp. No matter what you fancy, you’ll love the feeling of not being fenced while you embrace the open land of Southeastern Arizona. When you think of Arizona, there’s one iconic image that comes to mind - the Saguaro cactus. This cactus boasts an impressive lifespan. 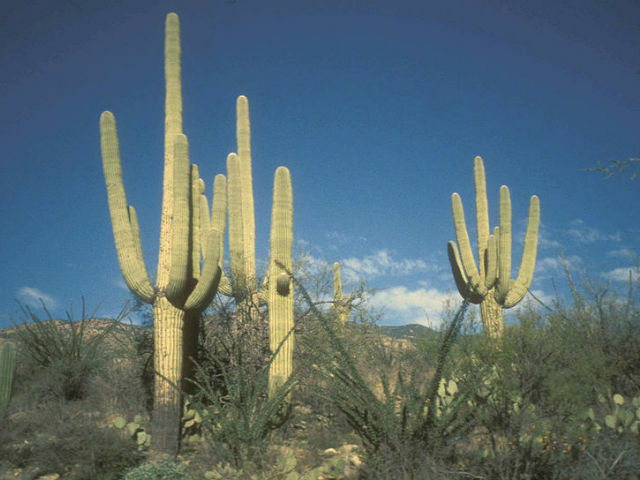 Full grown Saguaros are hundreds of years old. Take this into consideration as you hike, bike or drive your way through the Saguaro National Park located just north of Vail. There are two sides to this park - the east and the west. 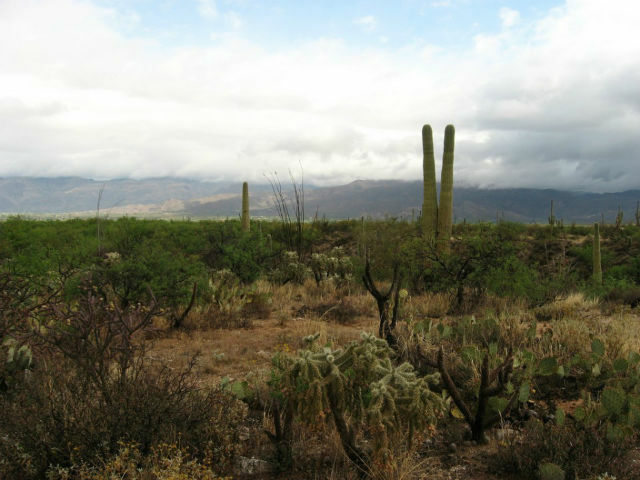 Saguaro National Park East is located at the base of the Rincon Mountain District, which cuts through Vail. If you want to stay overnight, you’ll have to backpack your way to a campground. There are no campgrounds accessible by car. See their website for some of the best trails in southern Arizona. Originally a Southern Pacific railroad town, Vail is a growing community east of Tucson in the shadow of the Rincon Mountains. Vail is now a Gateway Community to the Arizona Trail and the GVACC is the steward of segment 8B of the trail that starts at Pistol Hill Rd and runs 6 miles north to Hope Camp where it enters Saguaro National Park. This popular segment is easily accessible from Pistol Hill Road and is a relatively easy hike, horseback or bike ride; however, there is no water on this segment. Just a short distance from the trail you can find delicious Mexican food and basic necessities for your trail adventures. This “town between the tracks” is also home to Colossal Cave Mountain Park and the Gabe Zimmerman Memorial Trailhead. The Arizona Trail goes through Colossal Cave Mountain Park, but to see the cave itself requires a two mile detour. The cave and surrounding areas have been in use since around 900 A.D. when the Hohokam formed a thriving community, farming in the valley and using the cave for shelter, storage and as a shrine. Today it features public tours, a gift shop, camping and nearby La Posta Quemada Ranch. You can access Cienega Creek, to the South from the Gabe Zimmerman Memorial Trailhead. Gabe Zimmerman, a 30 year old aide to U. S. Representative Gabrielle Giffords, was killed along with five others in the January 8, 2011 shootings in Tucson that injured Giffords and a dozen others. This trailhead and interpretive trail celebrates his life and love of the outdoors and the Arizona Trail. Visit the trail year around for an enjoyable hike, bike ride or horseback ride through the beautiful Sonoran Desert.